In "The Jacket," Ben (Ryan Phillippe) is chasing after Matt Daly to ensure his safety. 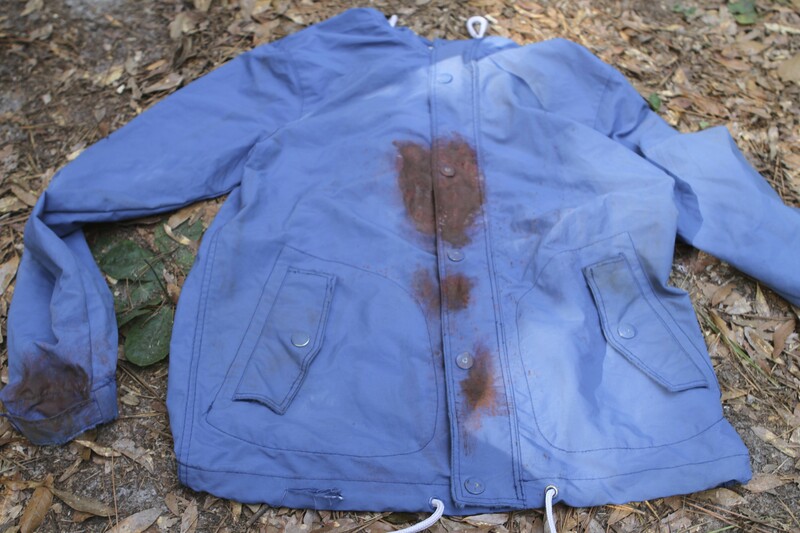 Matt trips and falls while running in the woods, dropping a blue jacket with blood stains on it. Ben finds the jacket as he follows Matt and inspects it. It looks a lot like the jacket Cornell (Juliette Lewis) questioned Dave (Dan Fogler) about. Could this be the jacket the killer was wearing? If so, why did Matt have it in his possession? 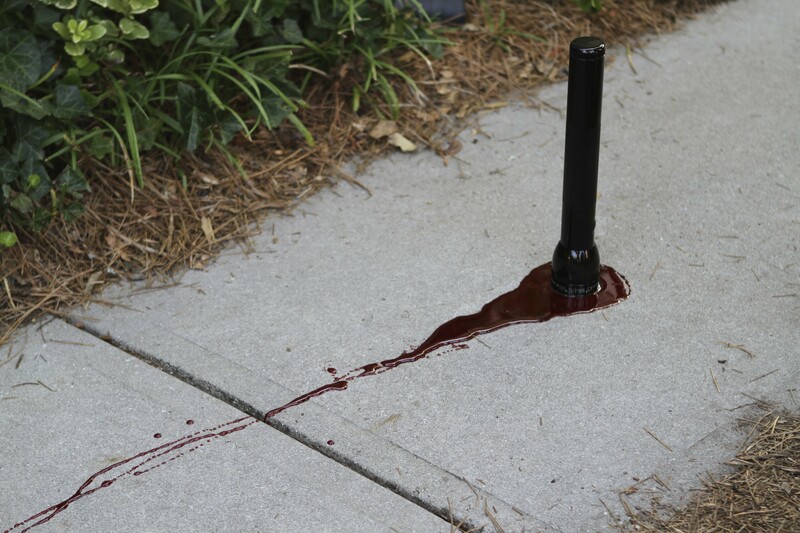 Going outside to embark on a run, Ben spots a flashlight with a pool of red goo around it on the sidewalk. It appears to be mimicking the flashlight with blood on it that suddenly appeared in Ben's truck previously. Following the trail of red goo, he discovers it leads to the Crawfords' garage. 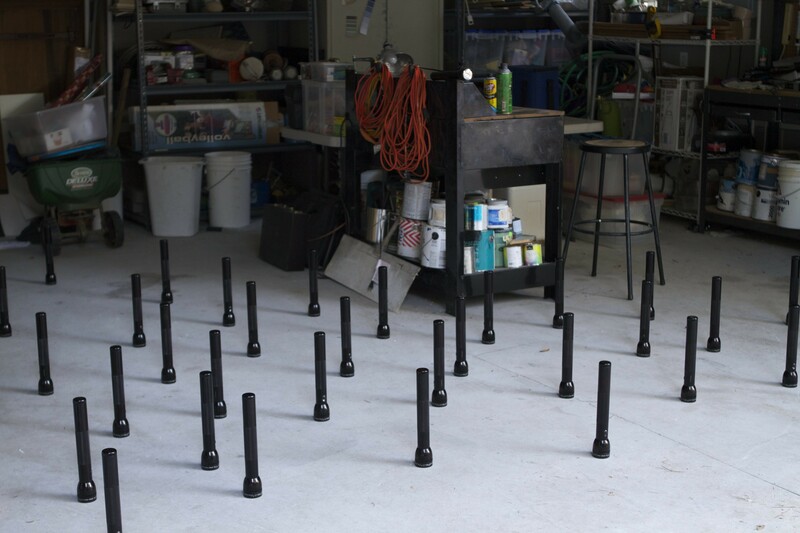 Opening the garage doors, Ben finds dozens of flashlights carefully placed on the floor. The situation gets even more hairy when Cornell shows up at the exact time saying she received a text from him asking her to meet. However, Ben never sent her that text. While Ben brushes it off as a juvenile prank, Cornell takes it very seriously, considering it a threat. She may be onto something: while Cooper confessed to vandalizing Christy's (KaDee Strickland) car, he didn't send the text nor did he stage the flashlights. Who is stalking Ben and do they have something to do with Tom's murder?